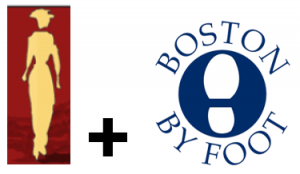 Boston Women’s Heritage Trail is pleased to announce that our partnership with Boston By Foot (BBF) to allow them to offer our “Notable Women of Beacon Hill” Tour as of March, 2018. BBF guides lead the tour, which is offered to the public several times during the season and upon request for private groups, including families or groups of friends. Click here for more information about the tour and check for dates the tour is offered. Boston By Foot is an educational nonprofit committed to promoting broader public awareness of Boston’s history and architecture. They have presented engaging and thought-provoking tours of Boston since 1976. Read more about the history of BBF here.